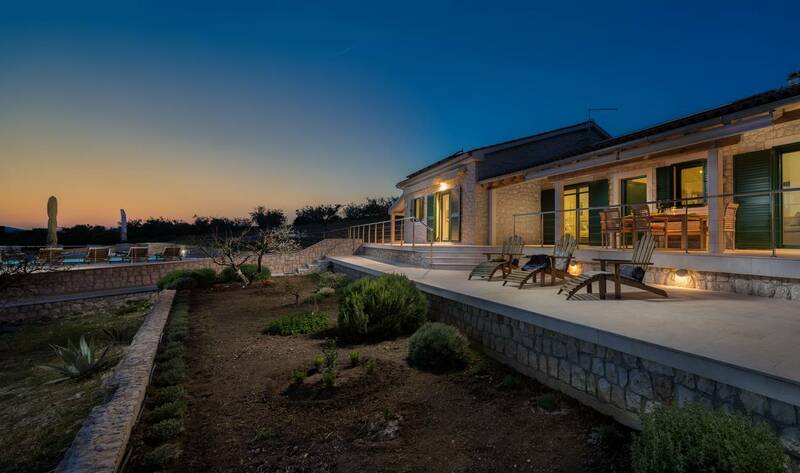 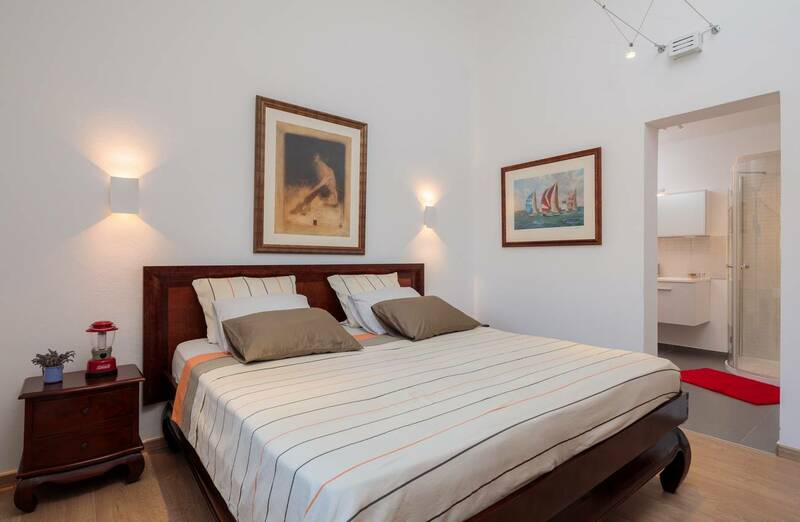 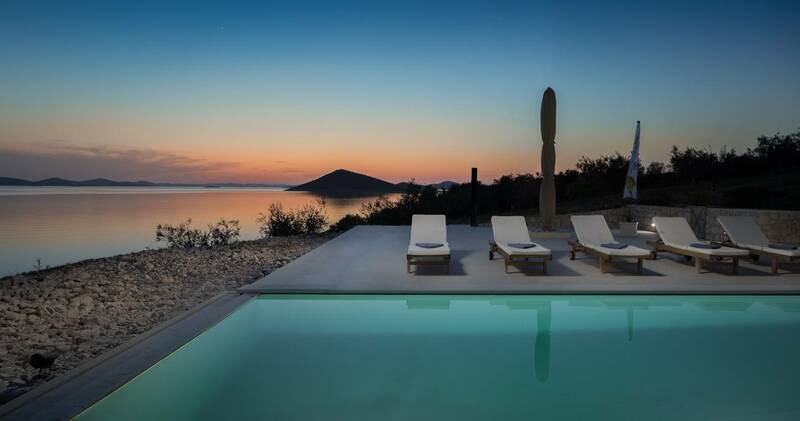 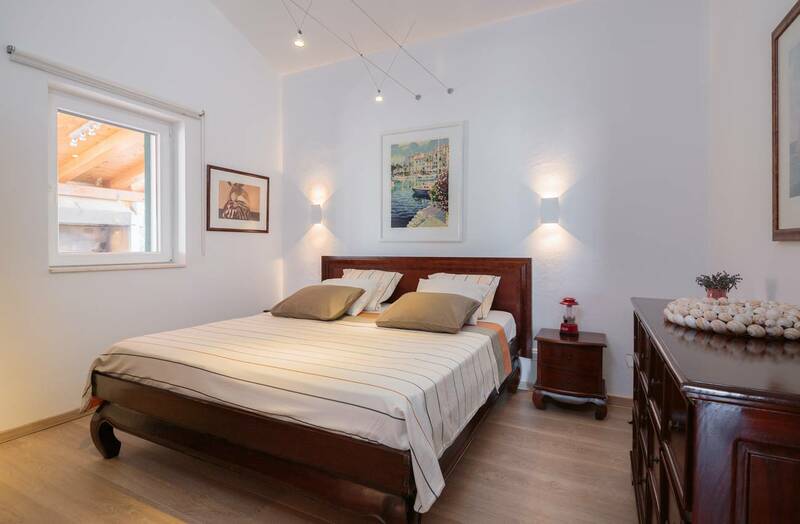 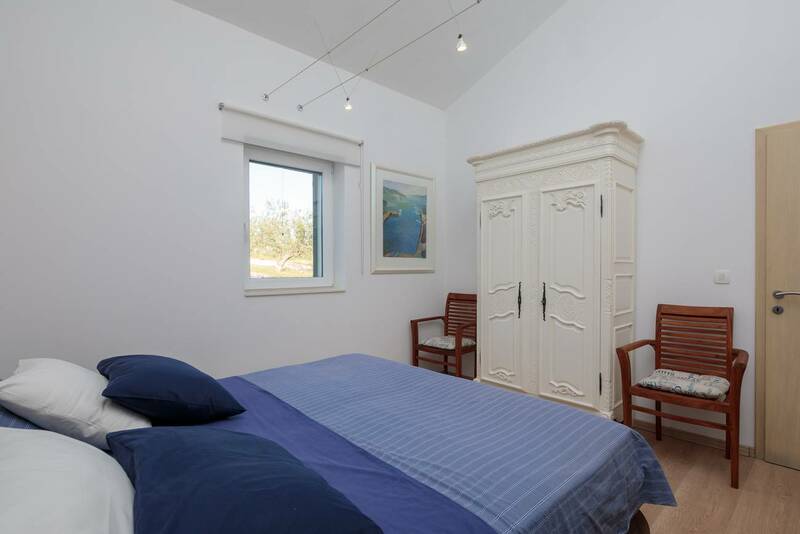 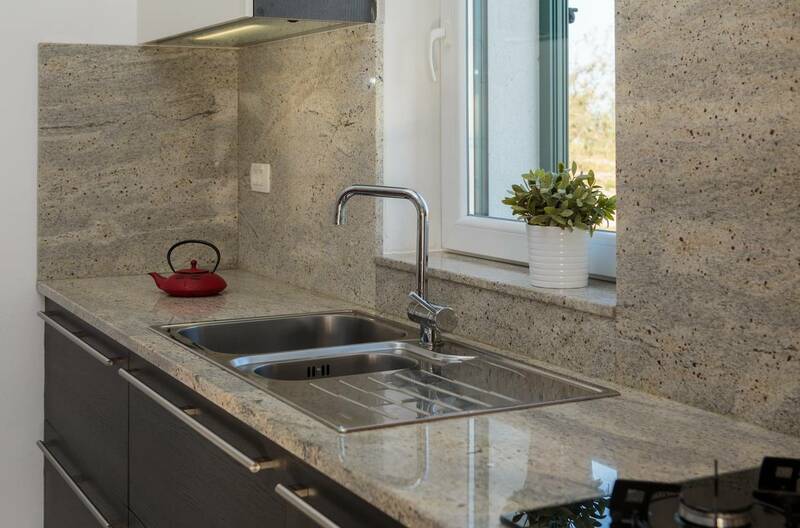 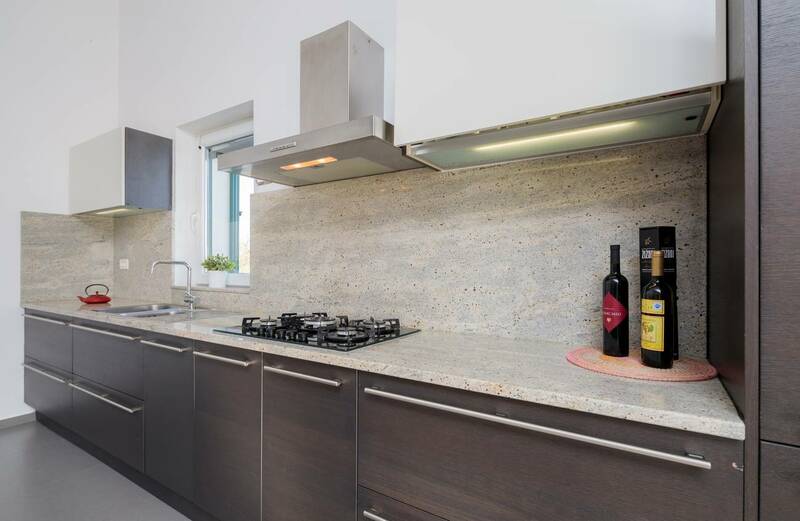 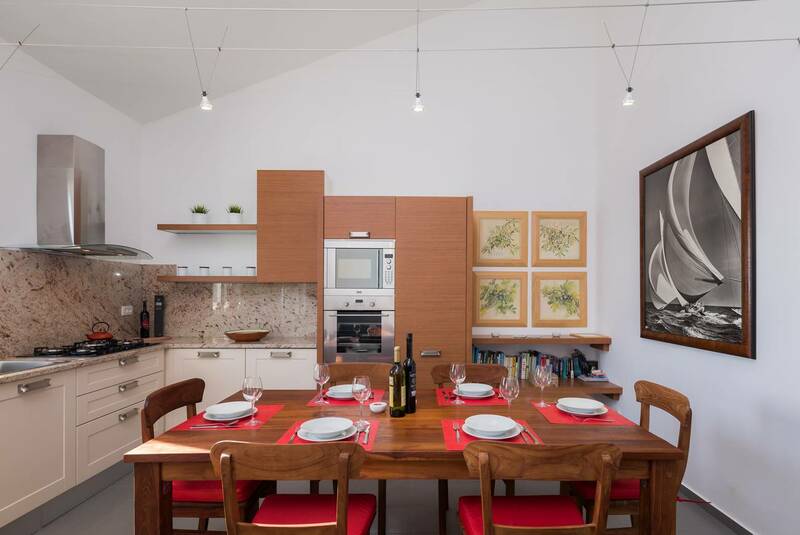 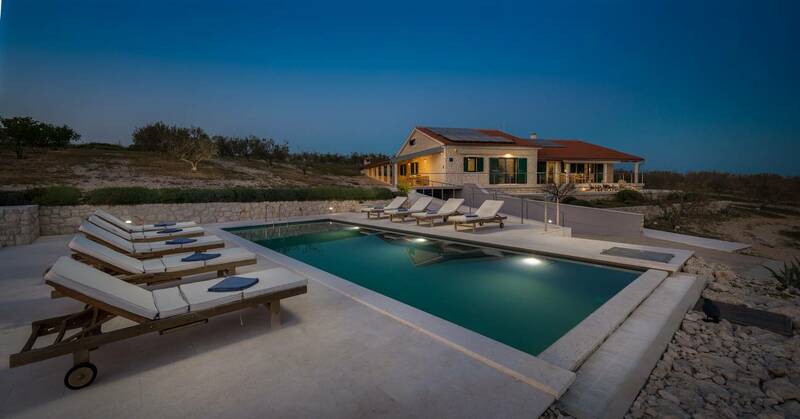 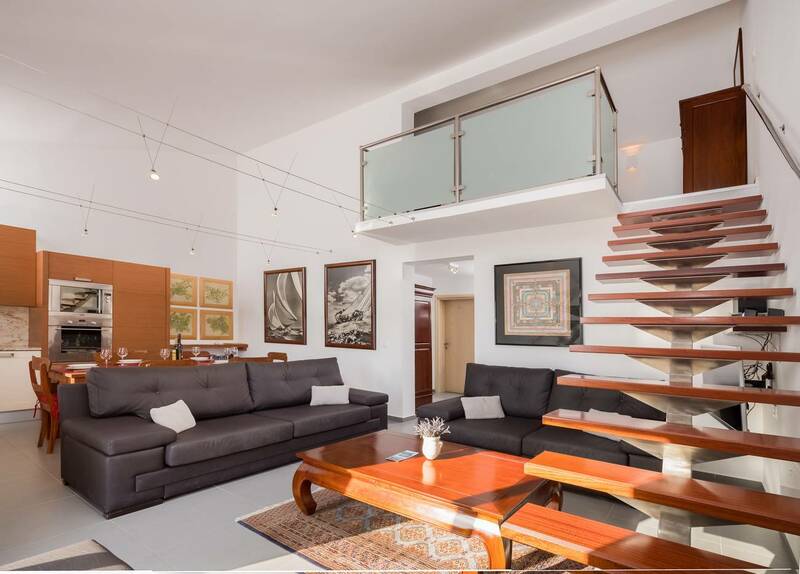 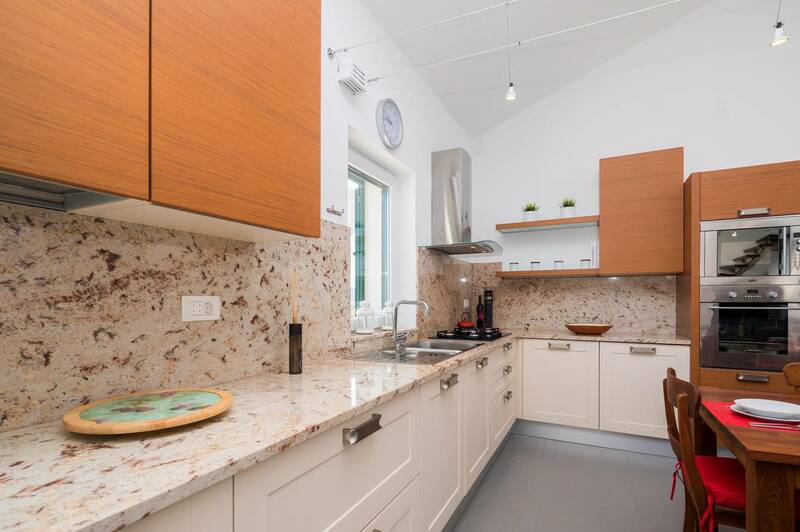 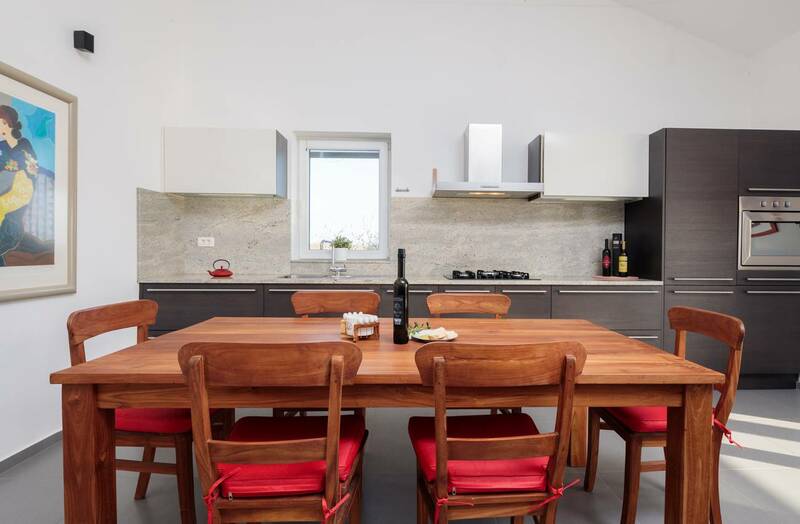 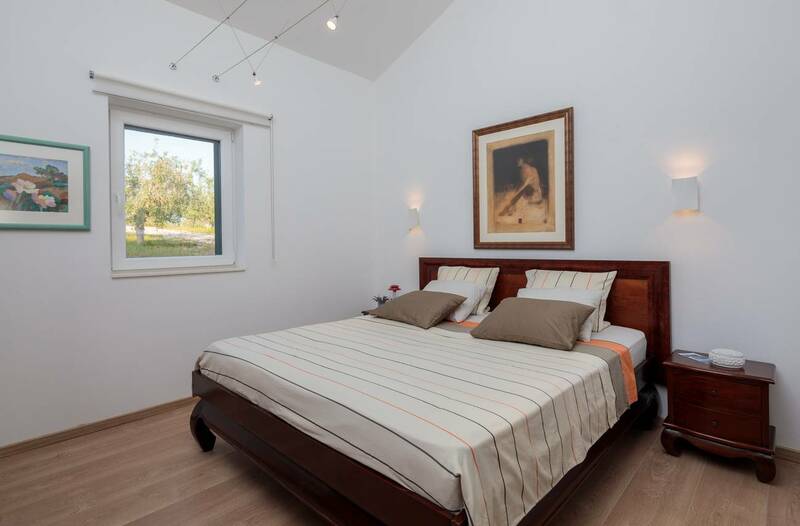 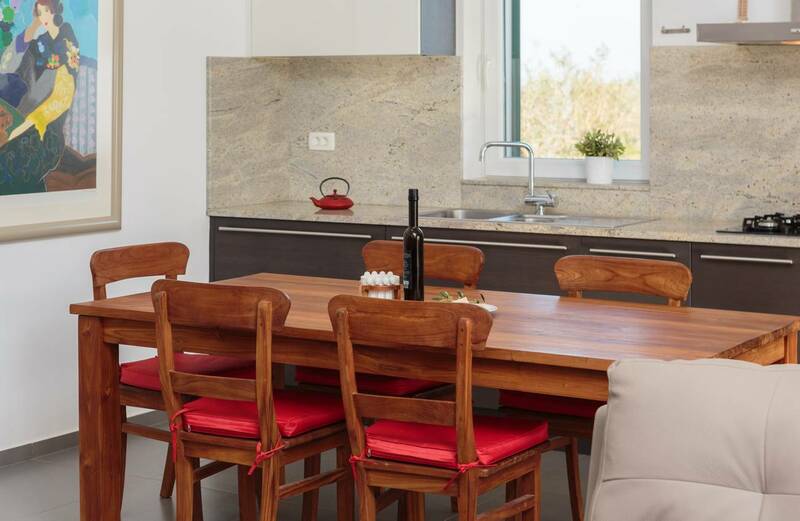 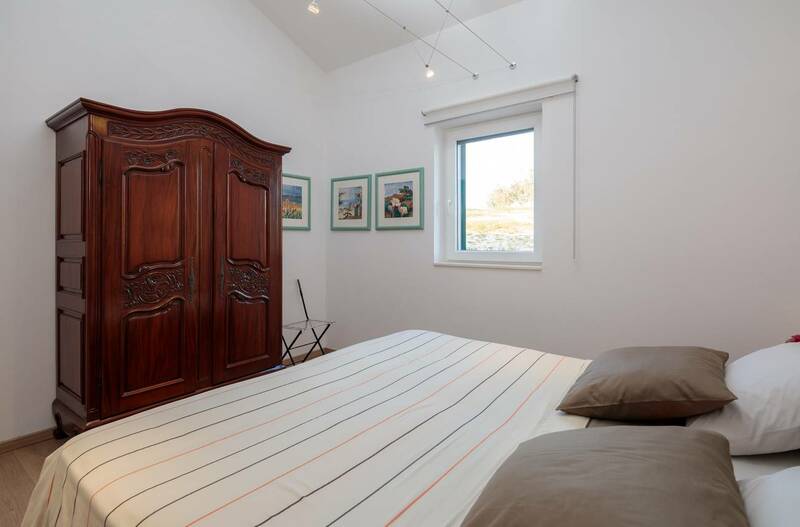 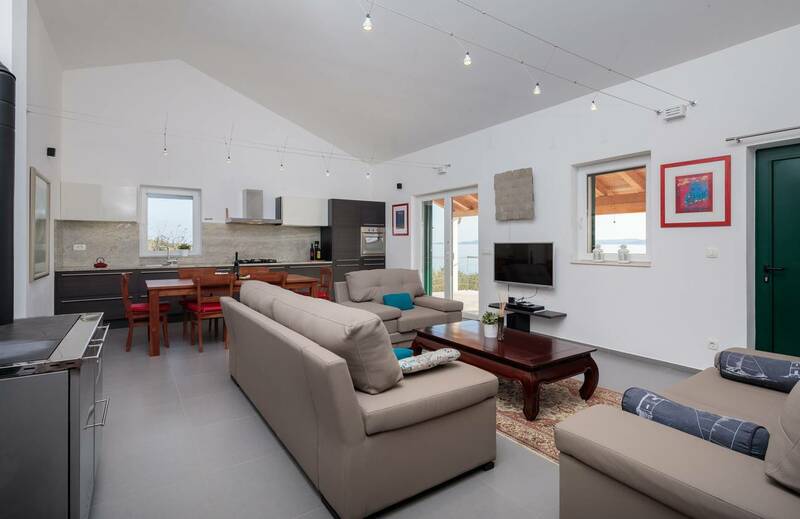 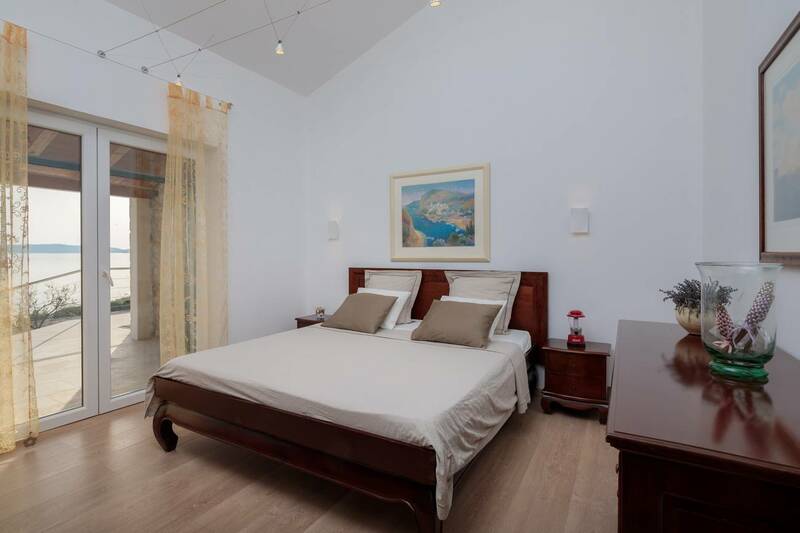 Villa Zizanj is the perfect choice if you are searching for a unique vacation on the waterfront in a stone villa surrounded by a private olive grove and a big terrace with a sea view. 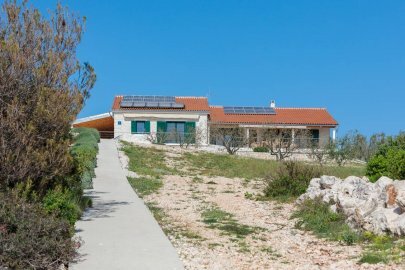 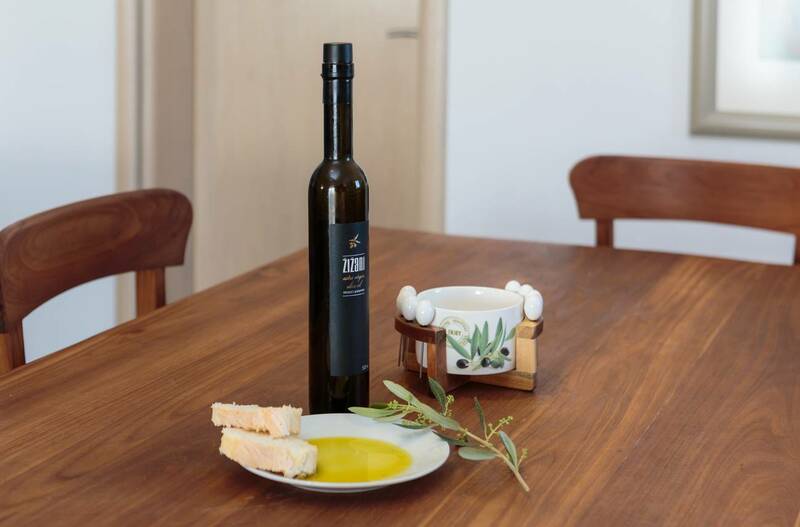 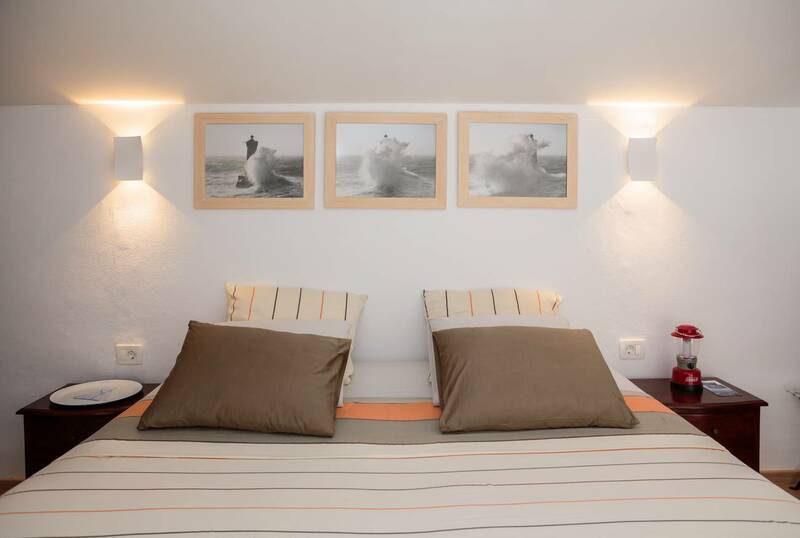 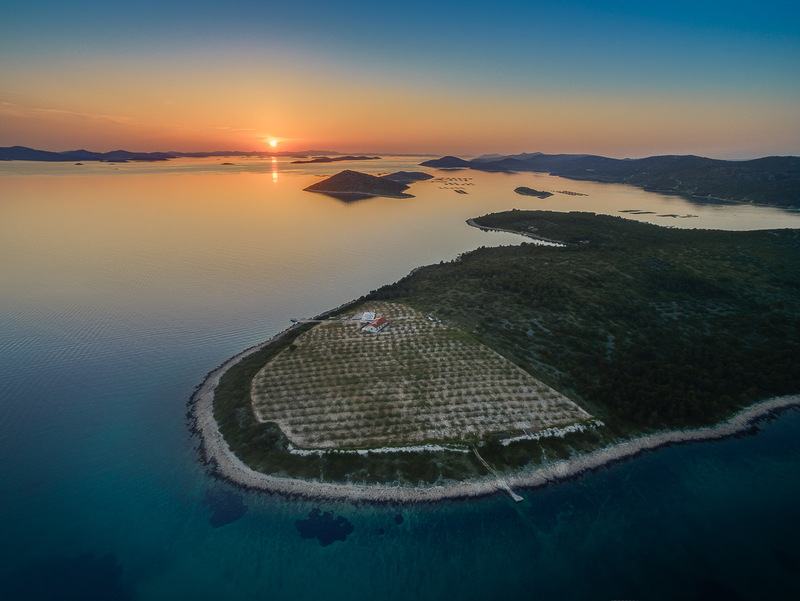 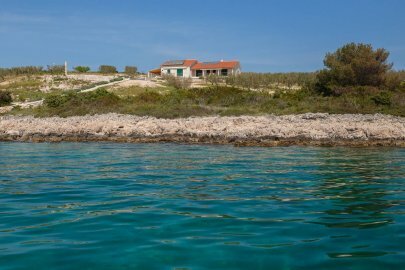 It is located on a small uninhabited island Zizanj in northern Dalmatia between mainland and Kornati national park surrounded by the Adriatic Sea. 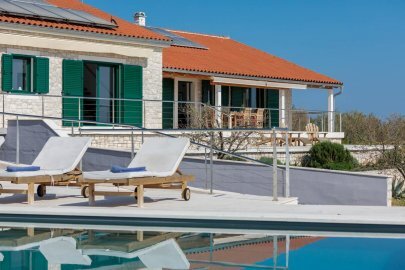 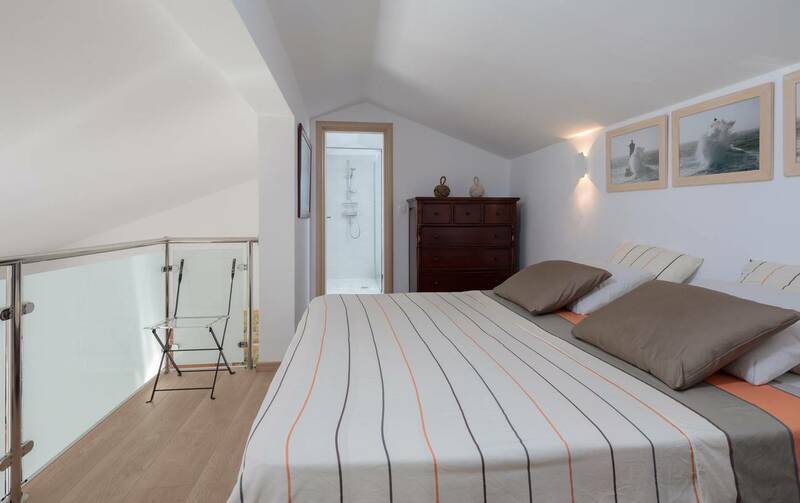 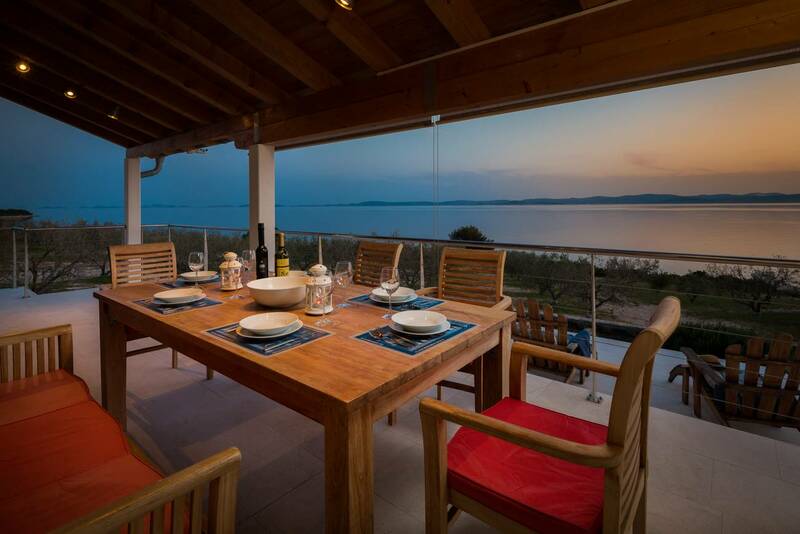 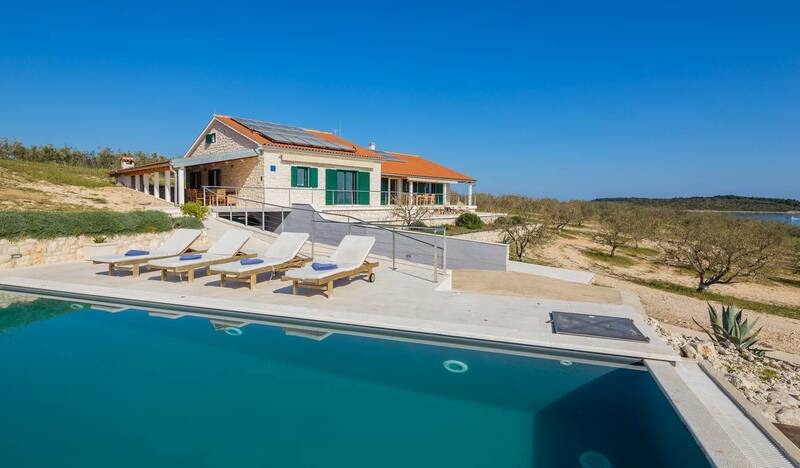 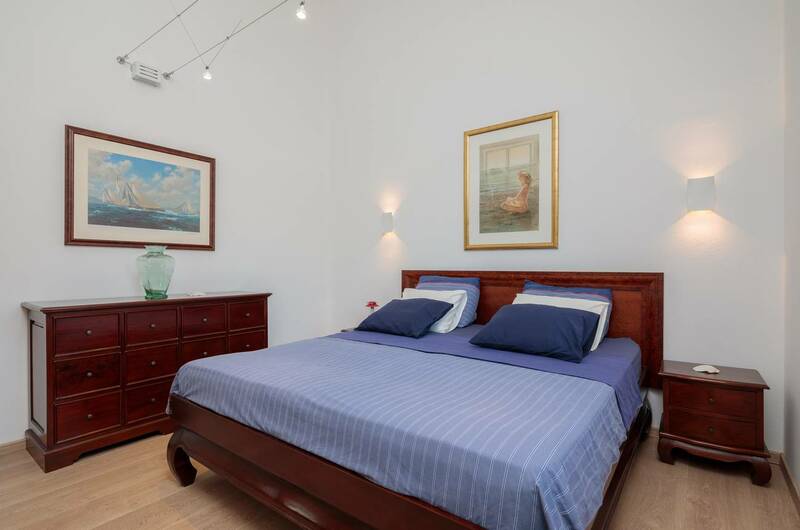 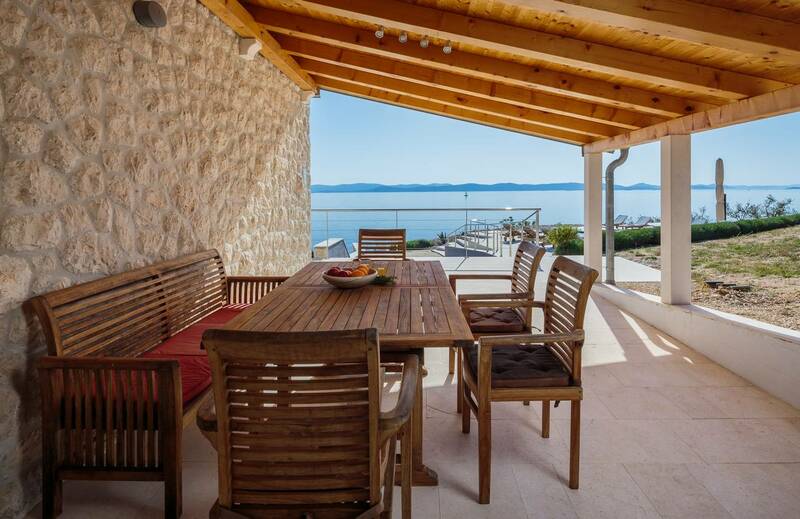 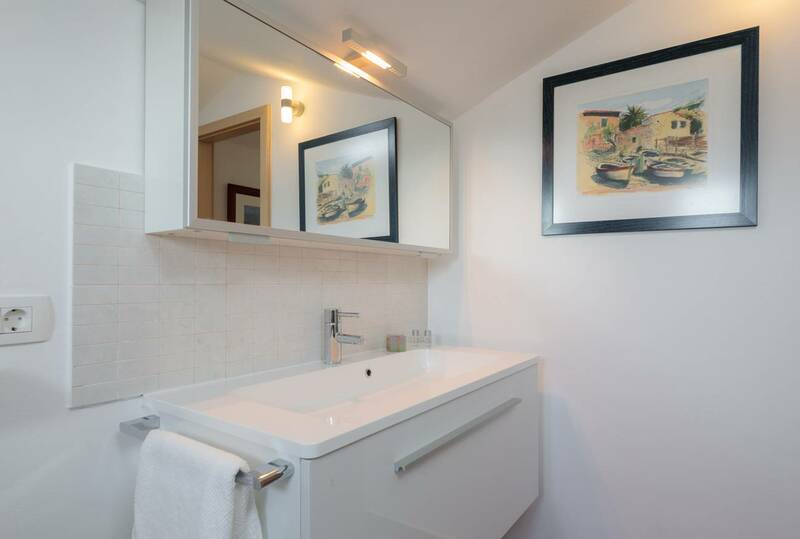 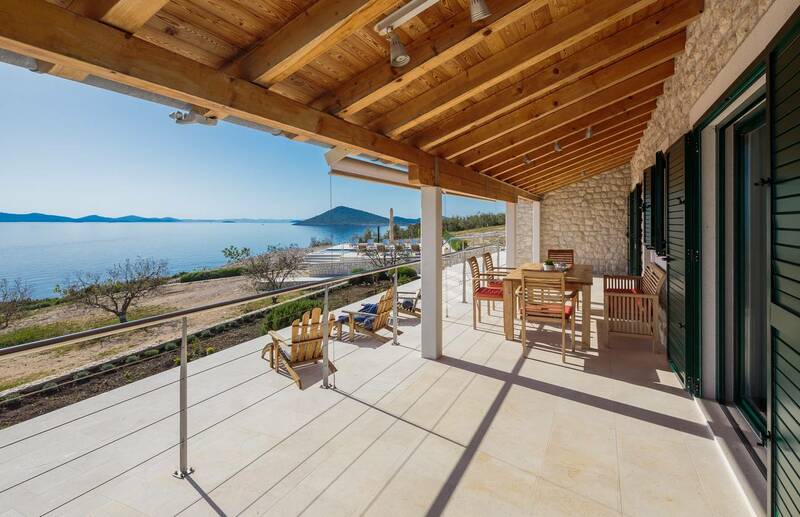 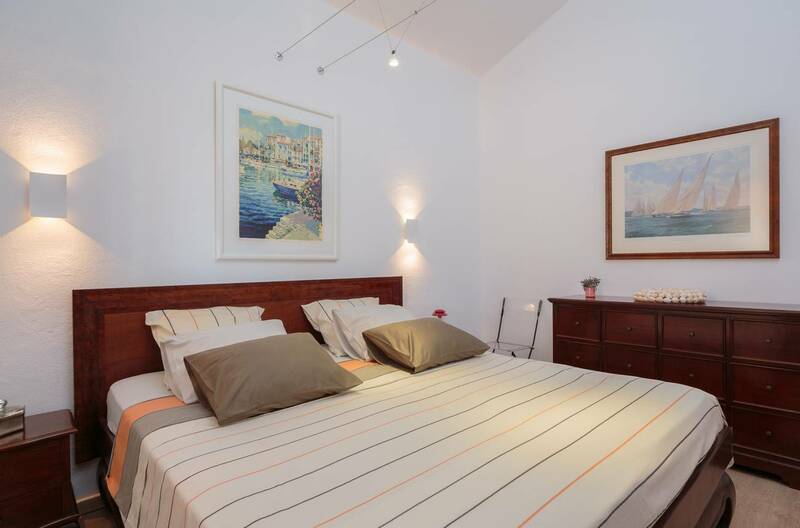 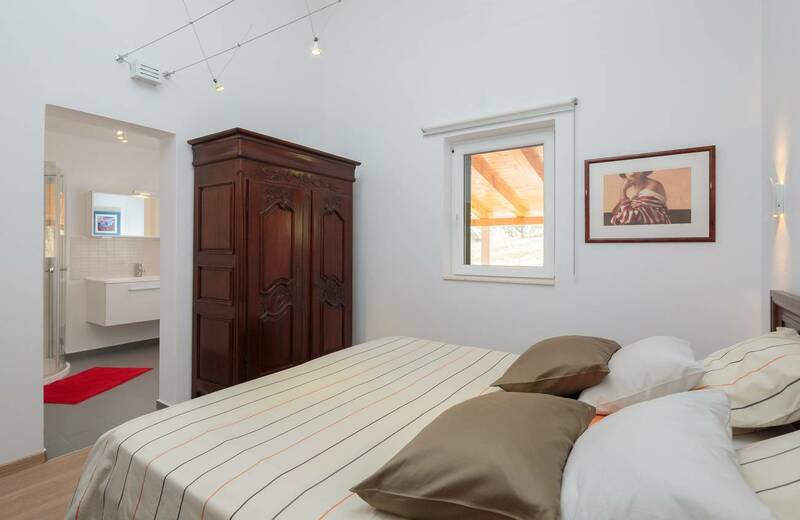 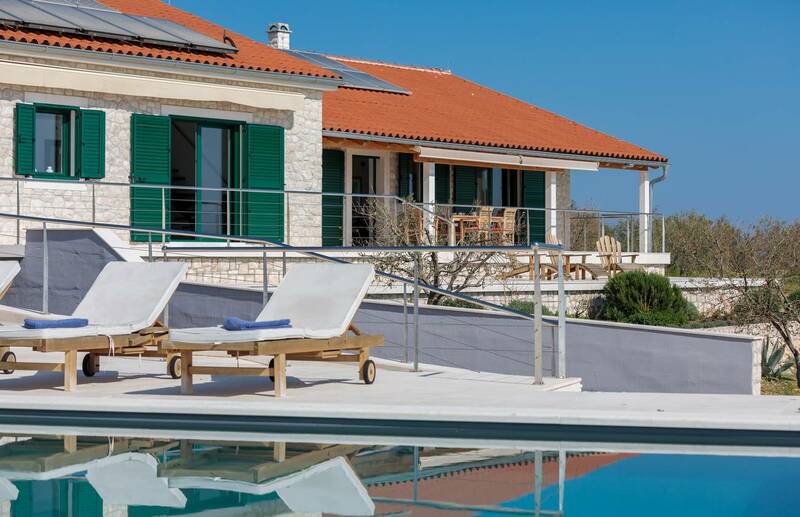 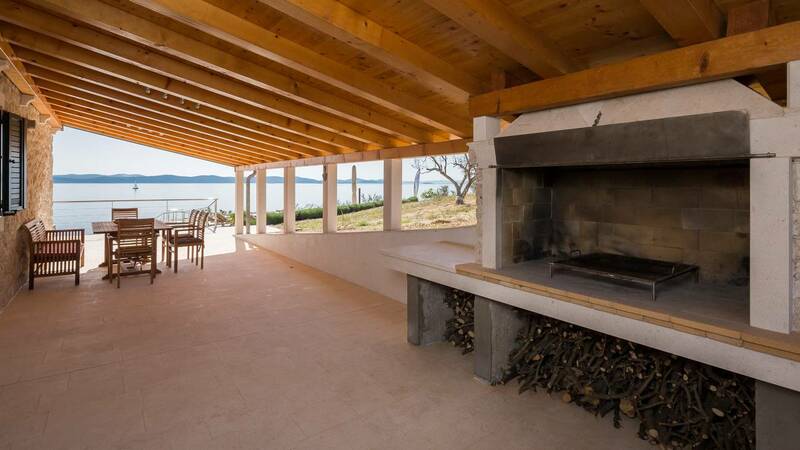 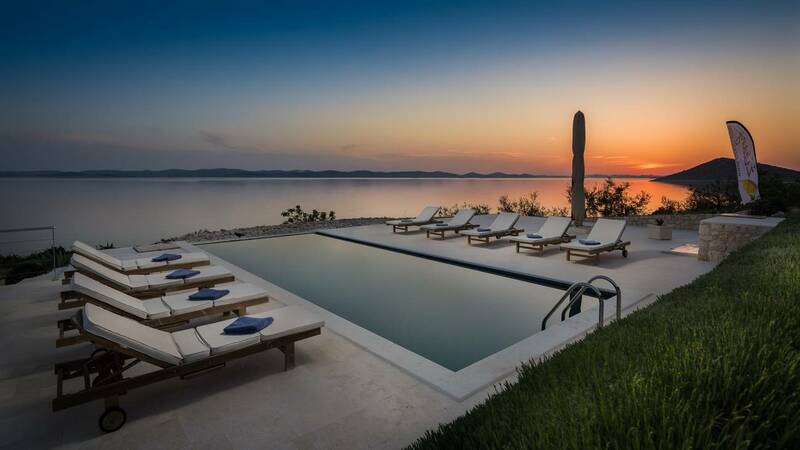 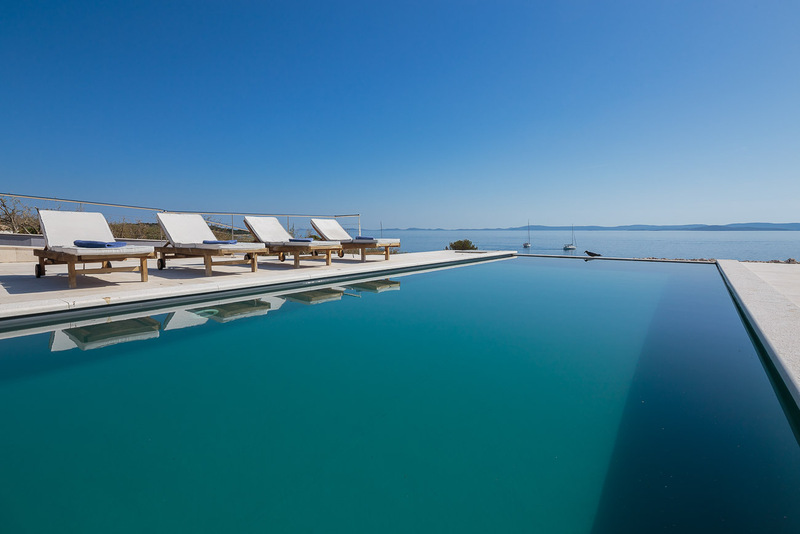 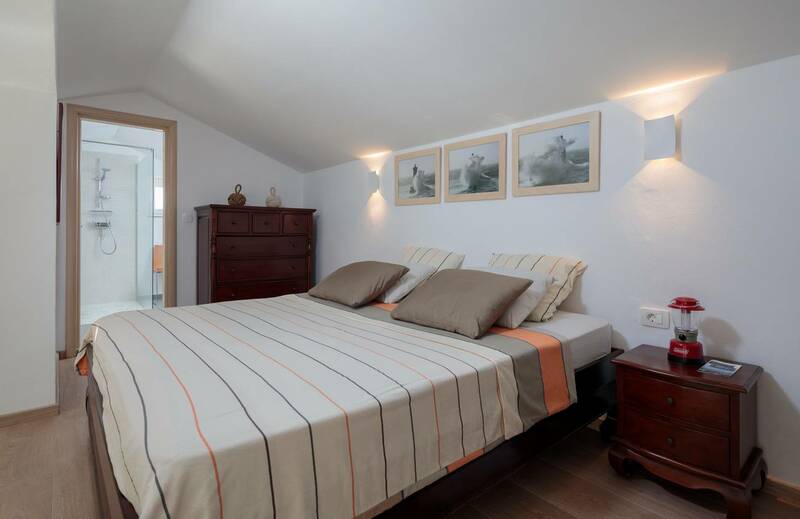 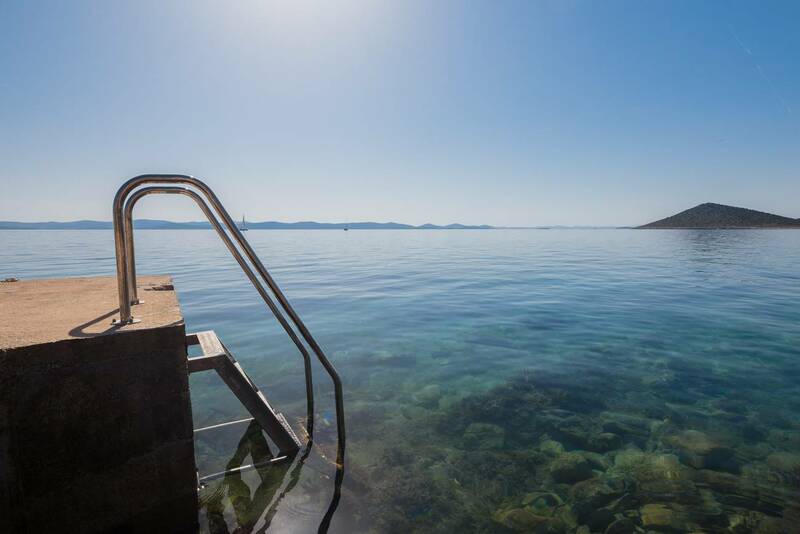 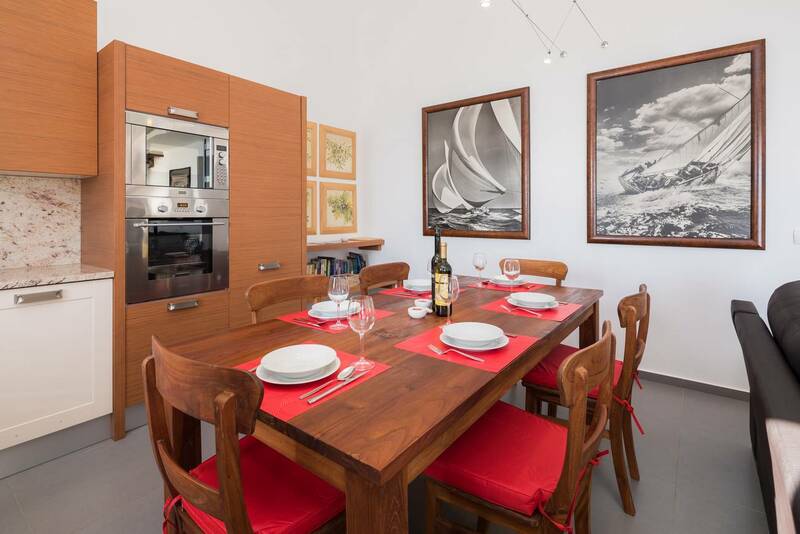 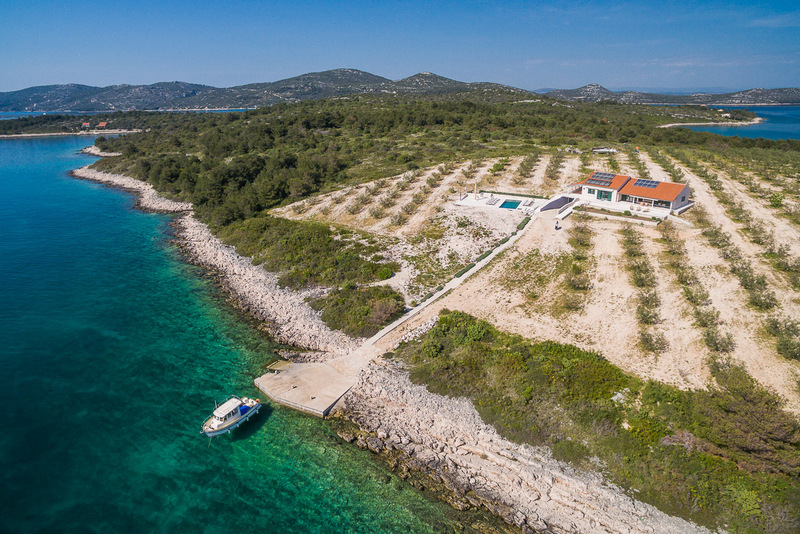 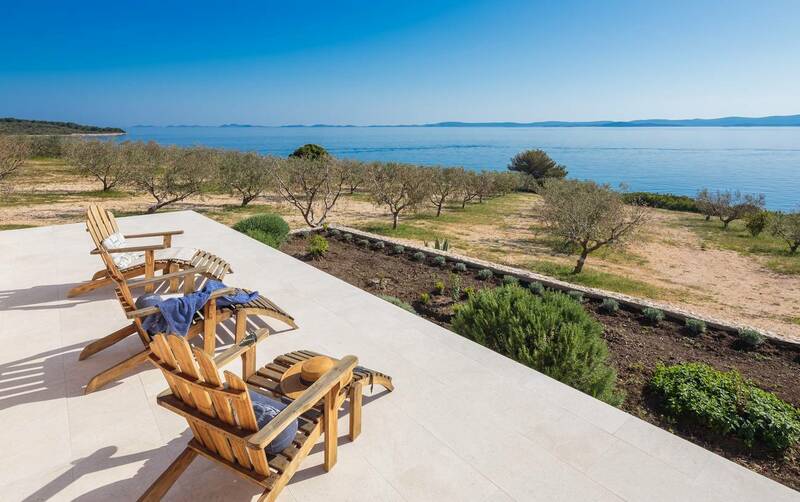 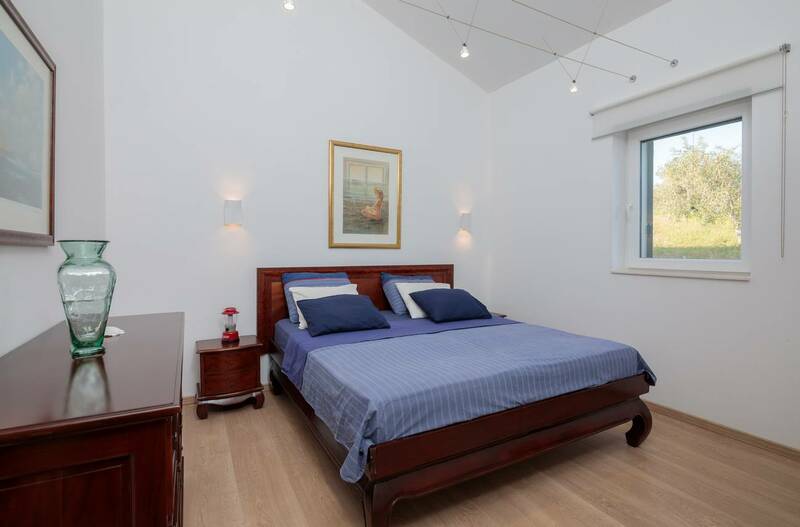 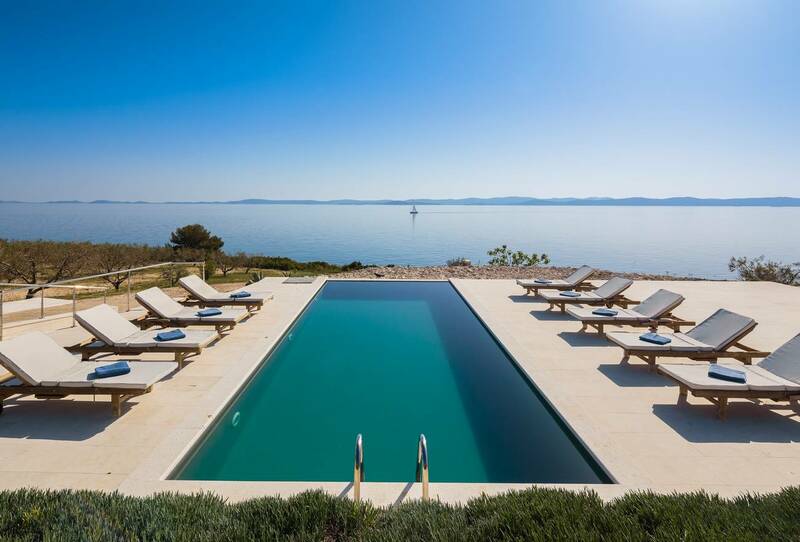 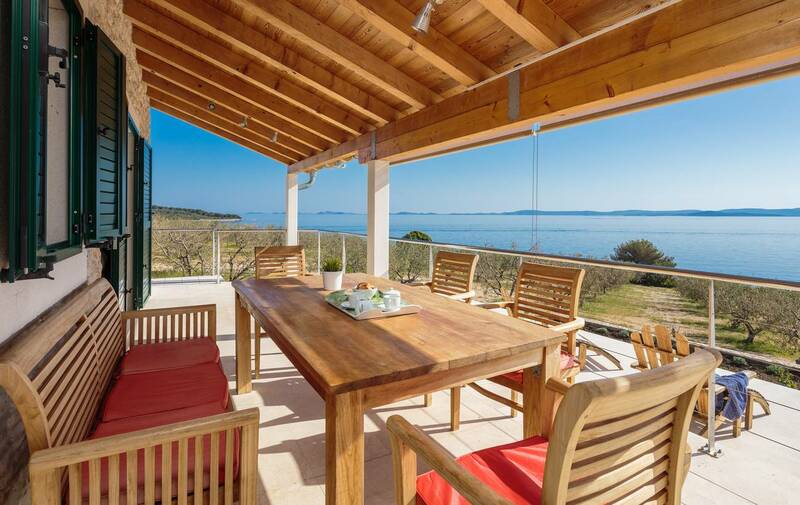 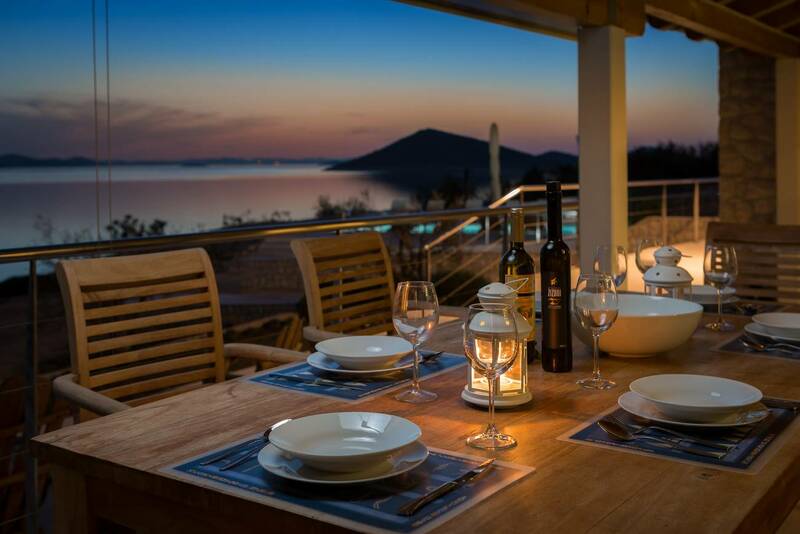 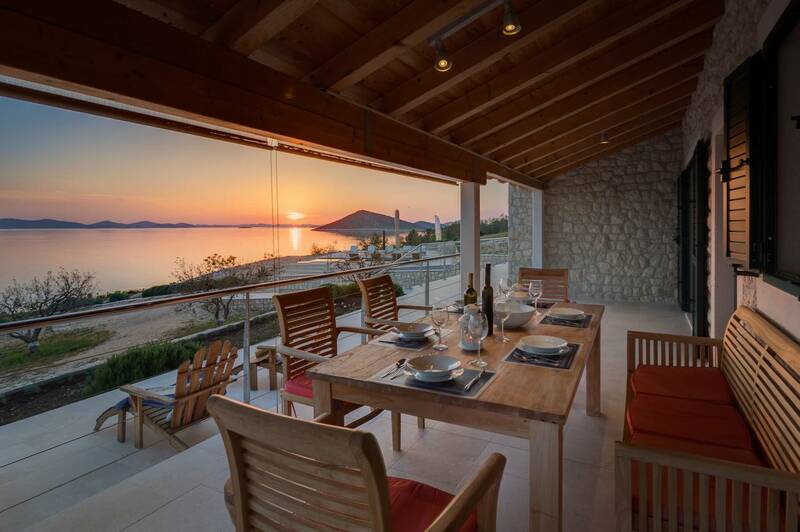 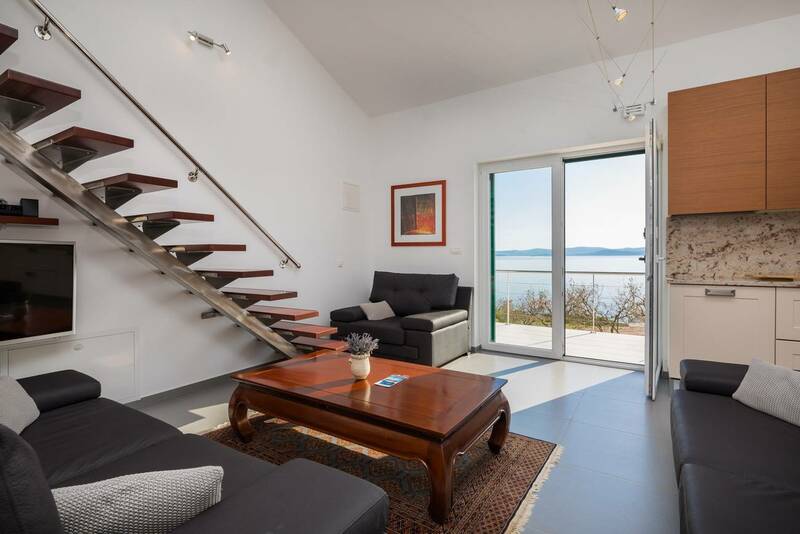 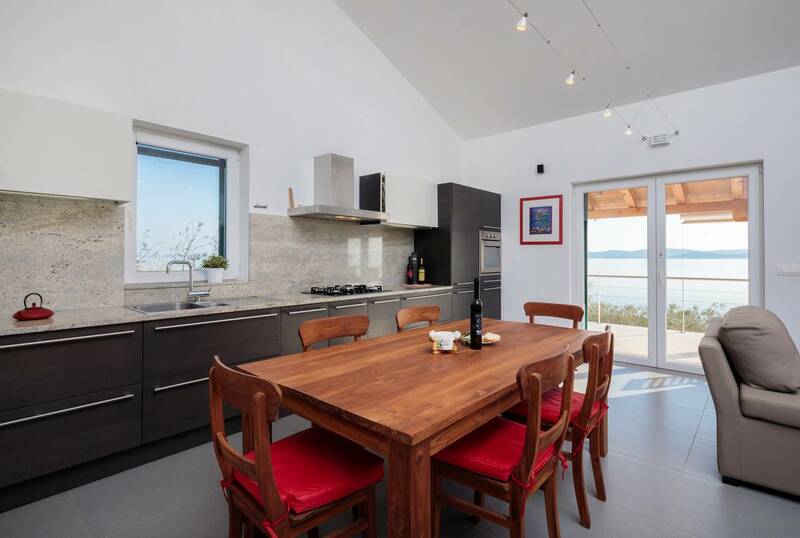 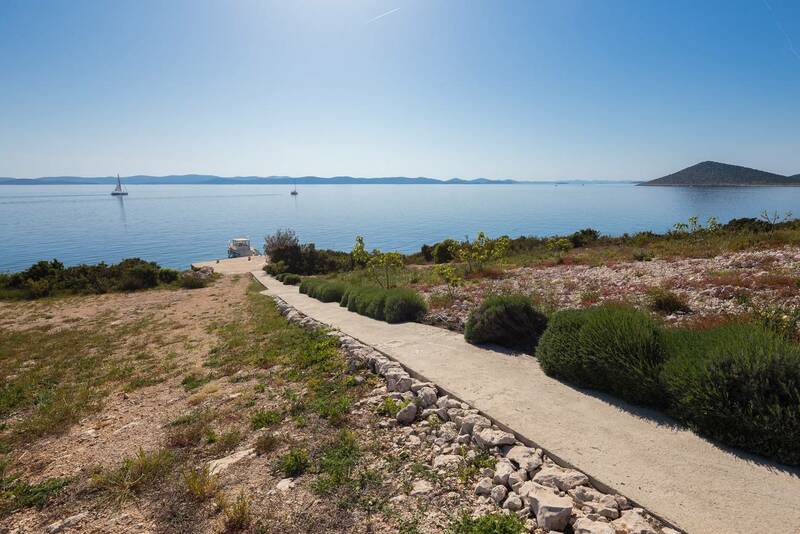 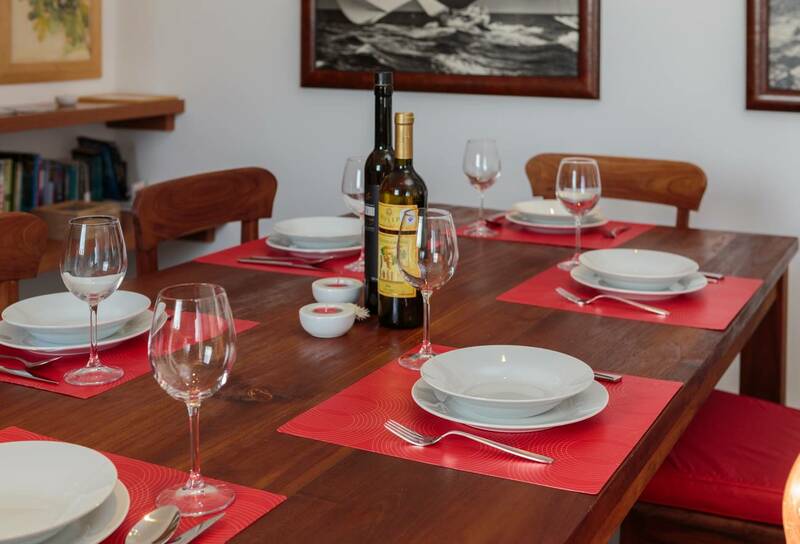 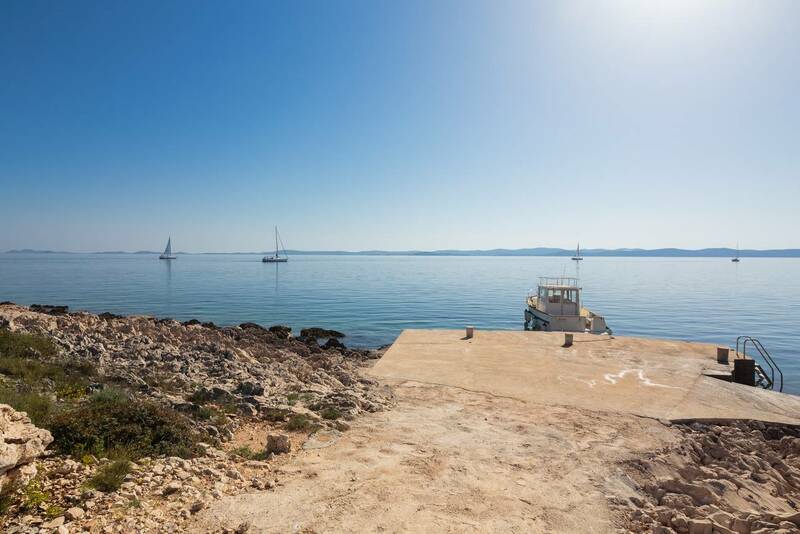 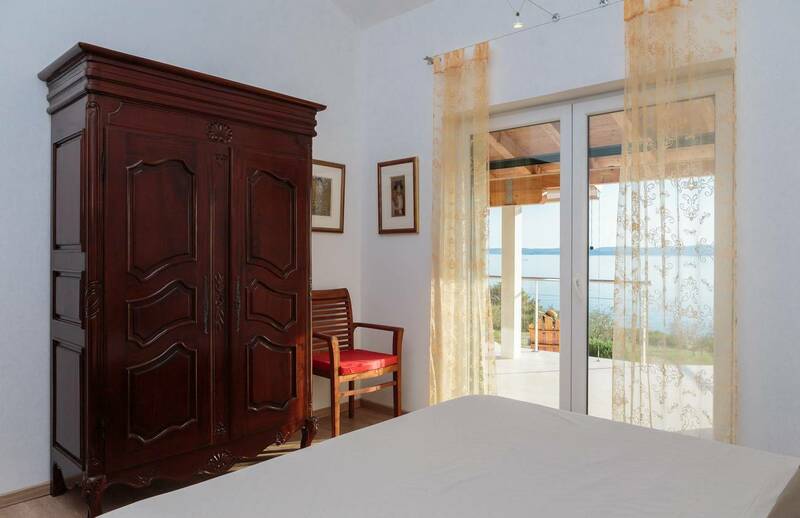 Only a 20 minute boat ride from the city of Biograd parts you from this lovely villa. 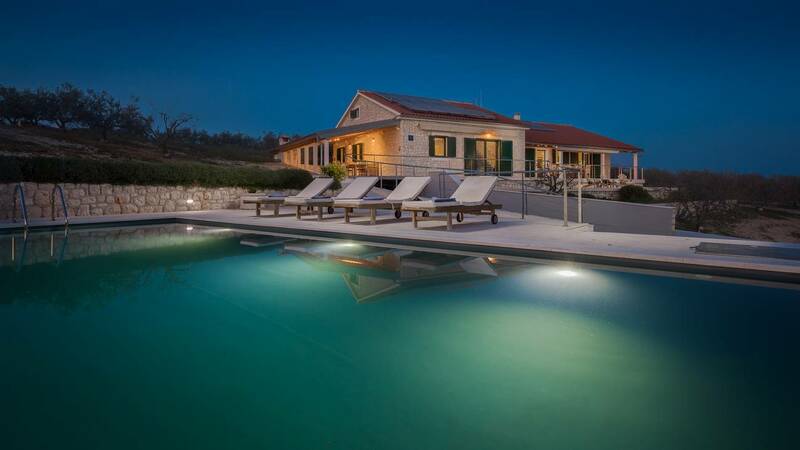 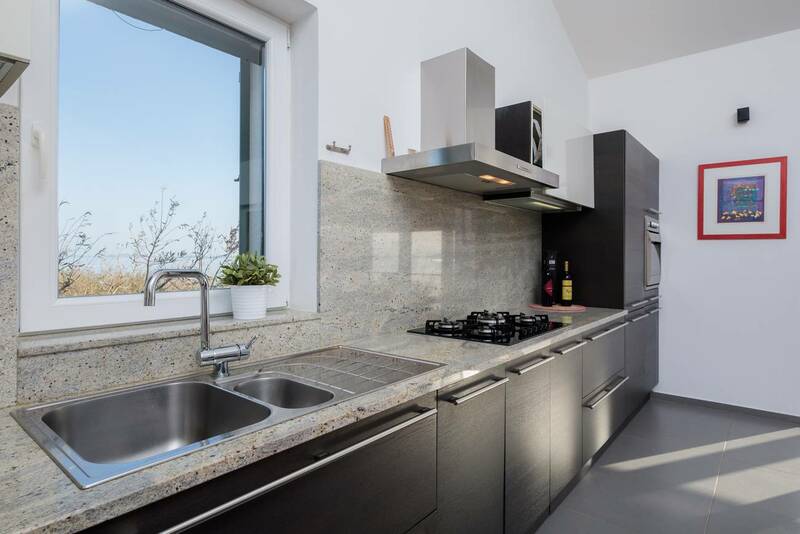 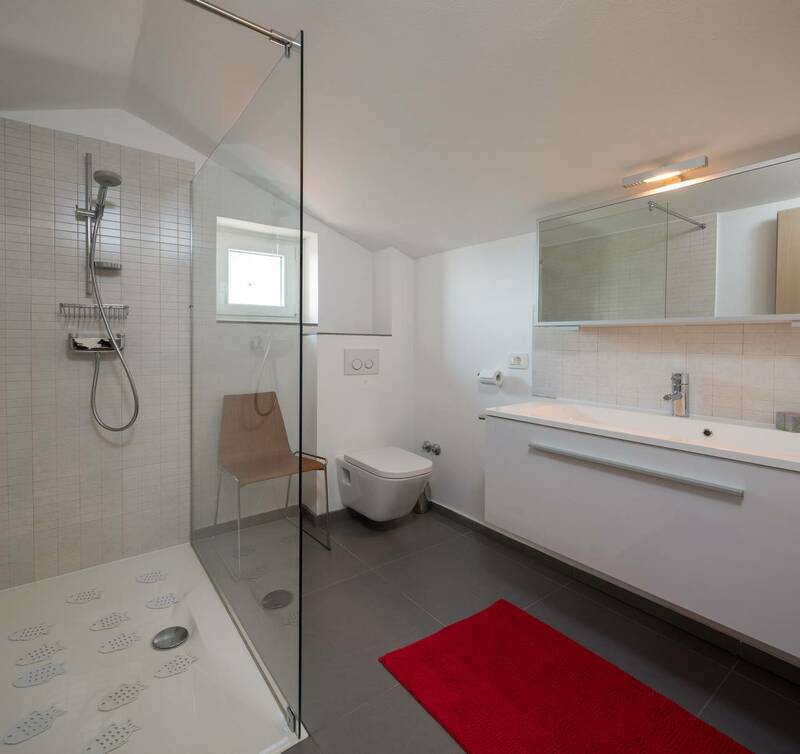 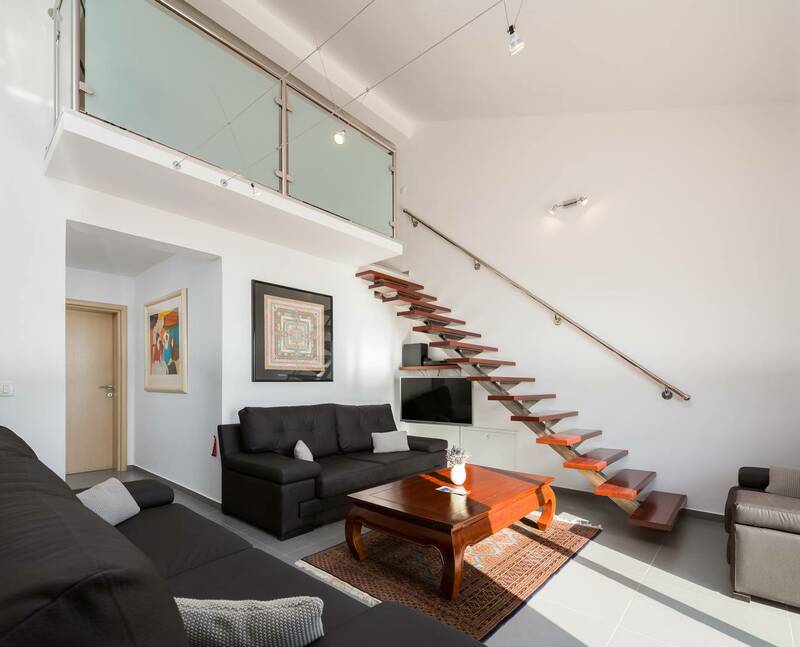 There are 5 bedrooms, 4 bathrooms and 2 living rooms with a large kitchen divided in two parts. 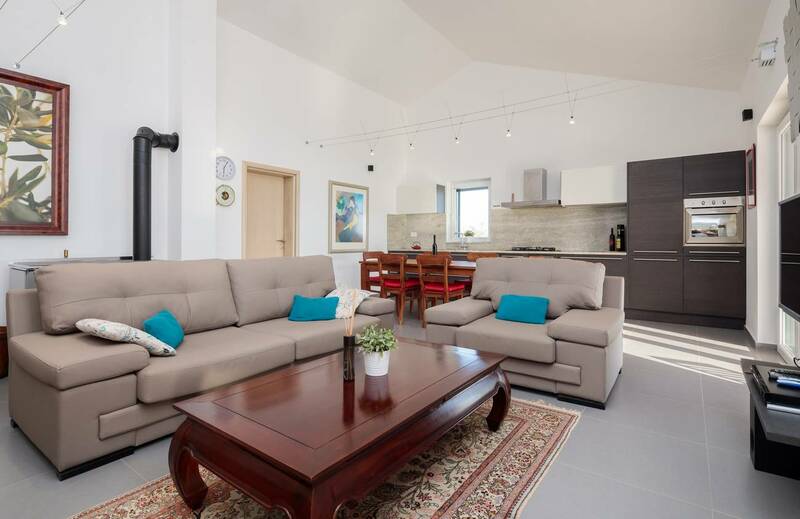 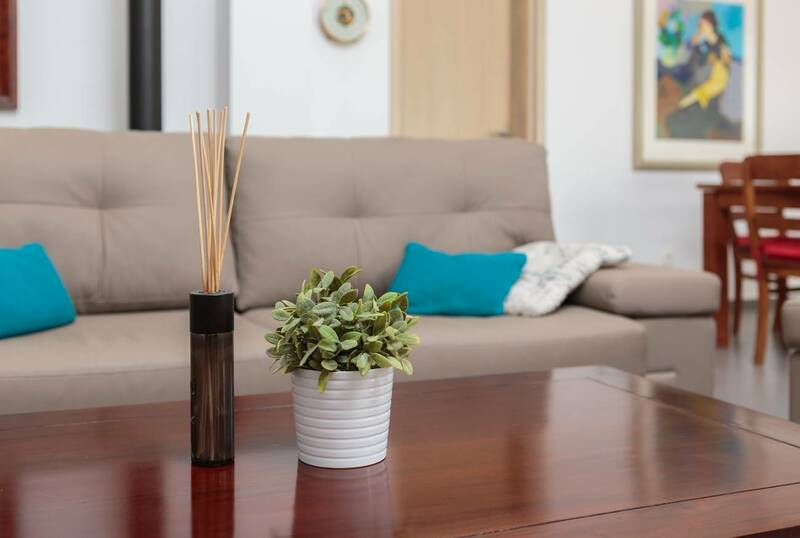 For additional sleeping space guests can use the two double sofa beds in the living rooms which take the house capacity up to 14 people. 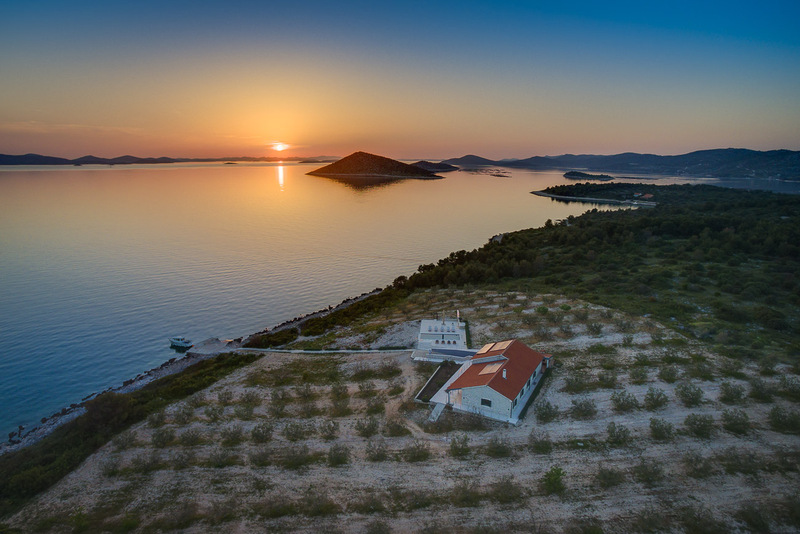 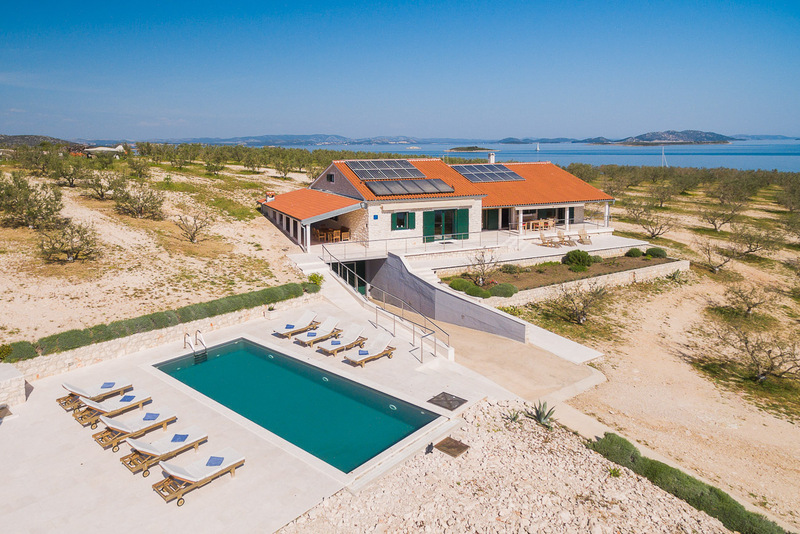 Apart from the private beach or the swimming pool, guests can enjoy the breath-taking sea view or sunset over the Kornati archipelago. 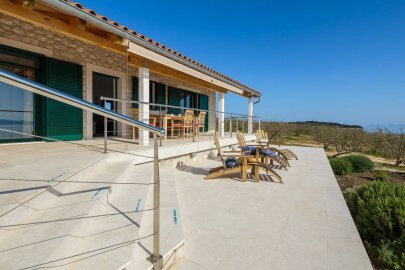 Terraces of 300 m2 are there to be used in various times of the day. 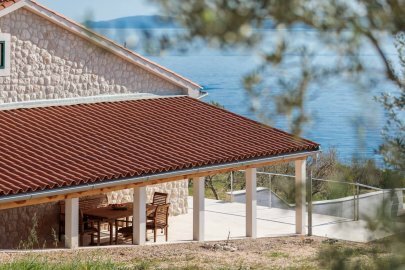 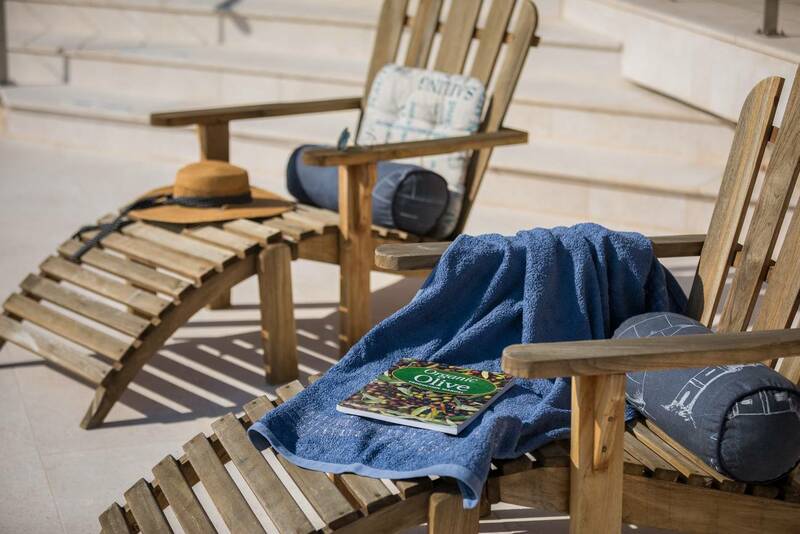 The covered terrace is the best place to be at the warmest part of the day; the BBQ terrace is great for entertaining guests and the swimming pool deck with sun beds is an amazing place in the late afternoon. 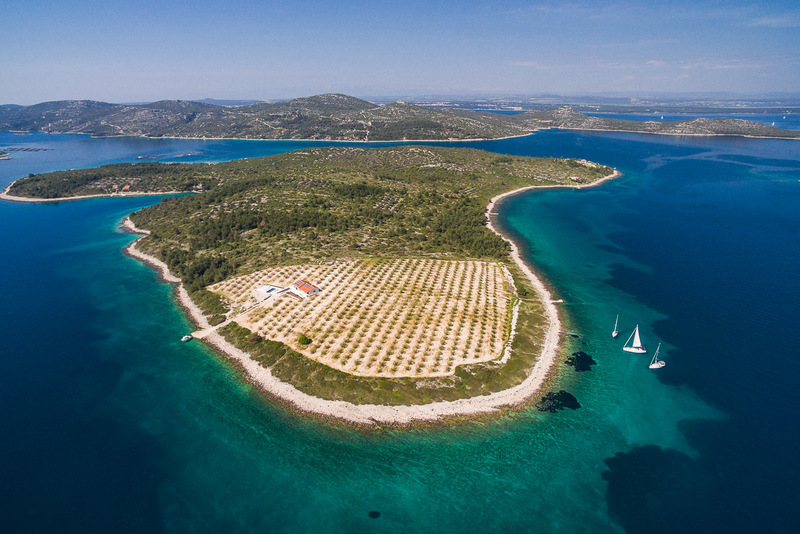 If that is not enough, there is also a 580 meter long private beach for you to enjoy. 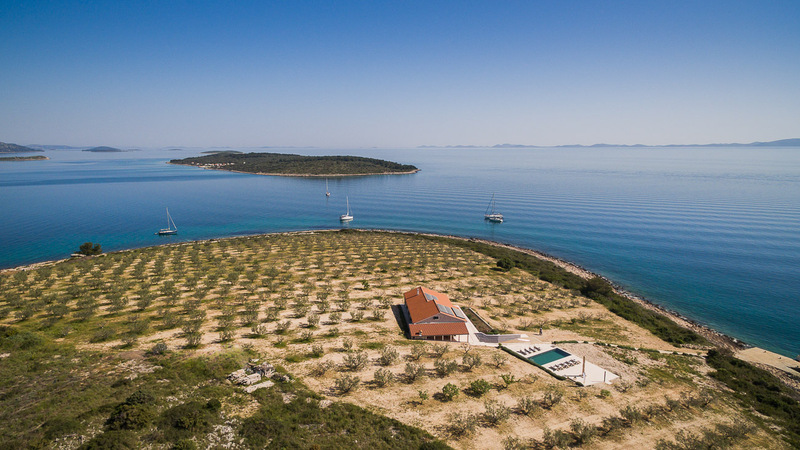 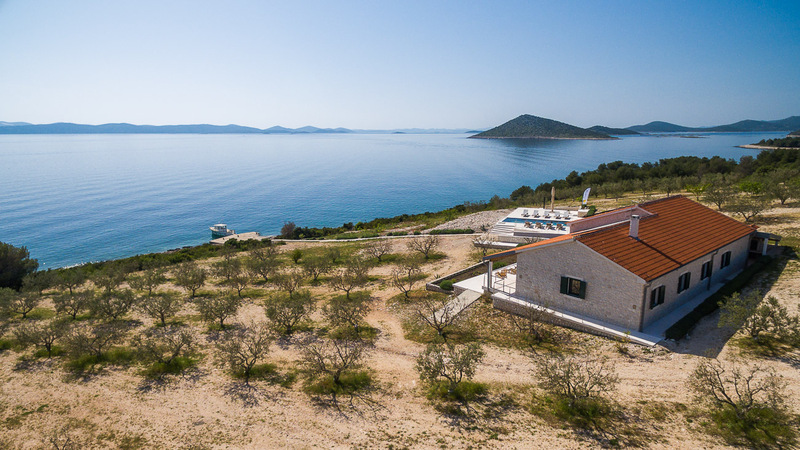 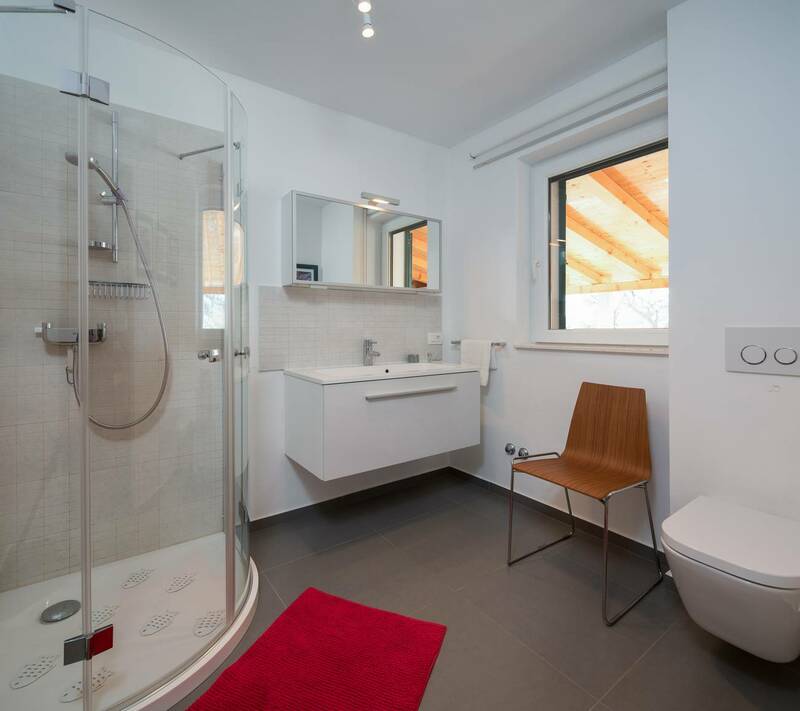 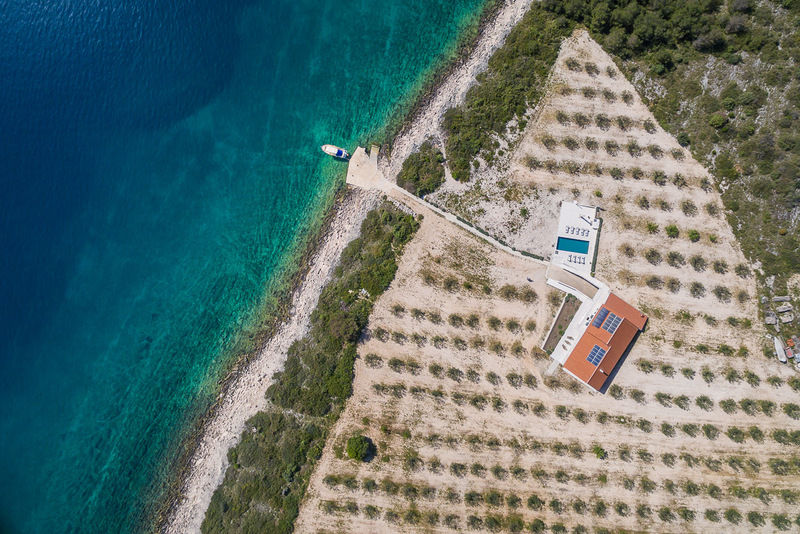 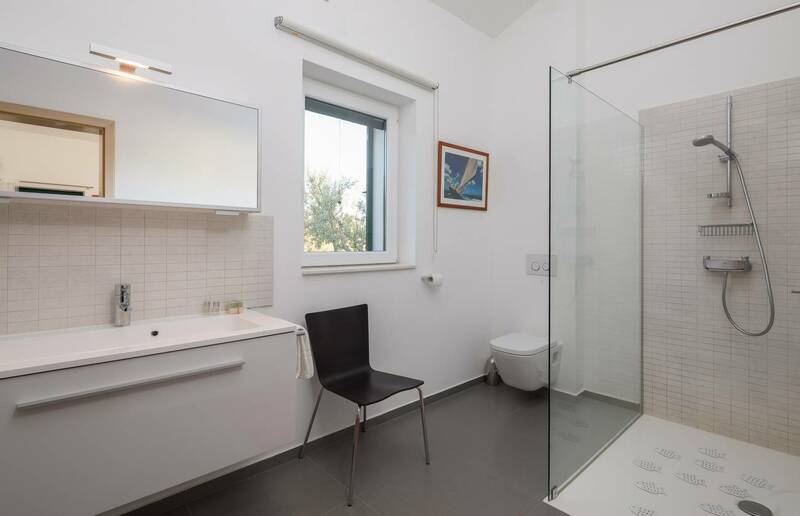 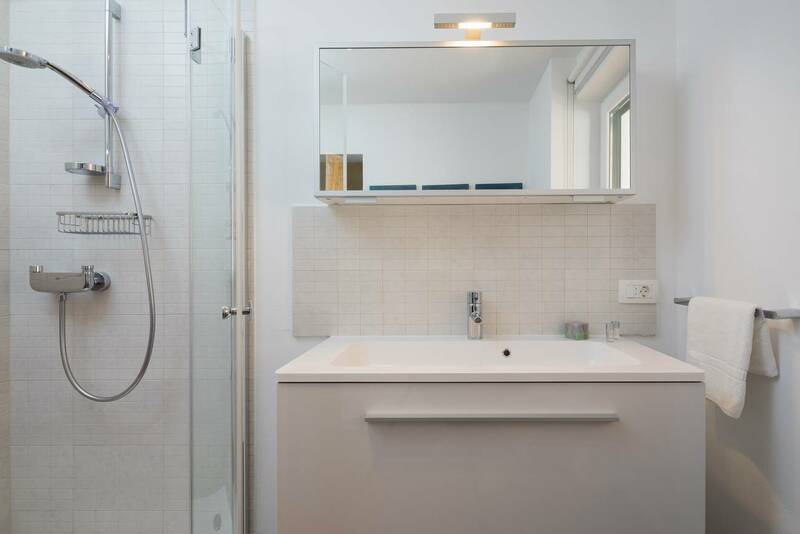 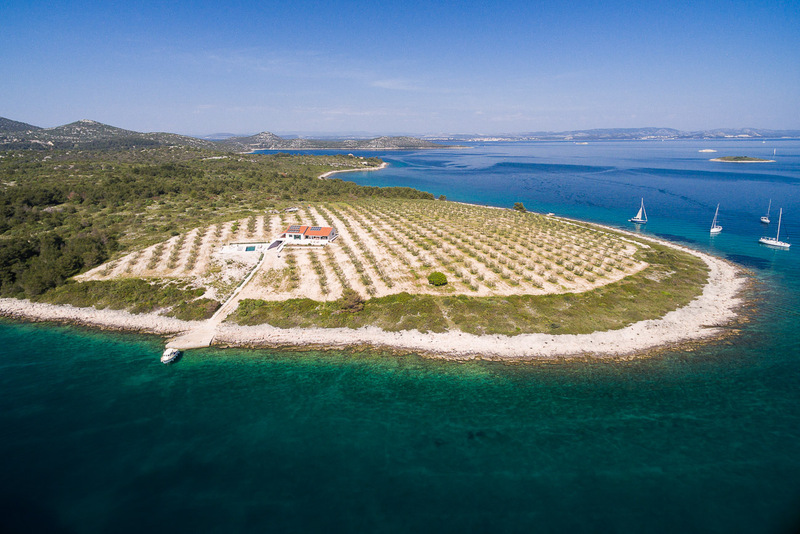 Privacy is everything on Zizanj Island, but it is still close enough to Zadar and Biograd for sightseeing. 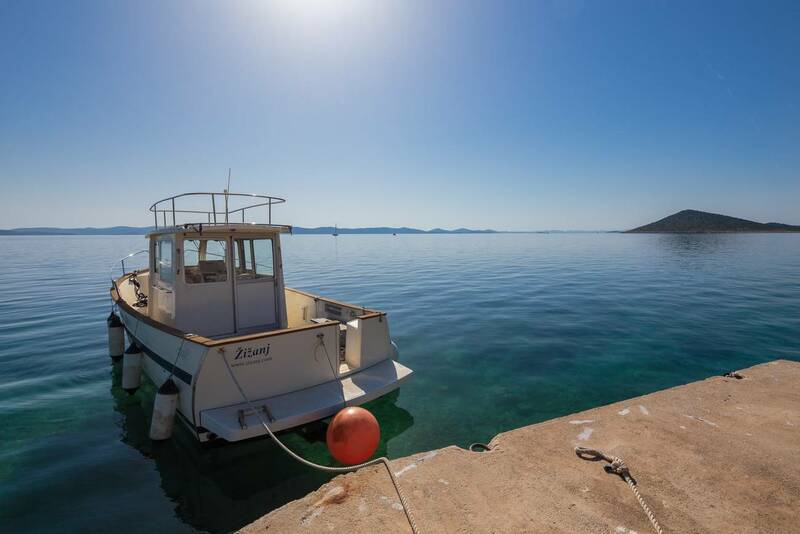 If you decide to spend your vacation at this magical place, your arrival on the island will be organized by boat. 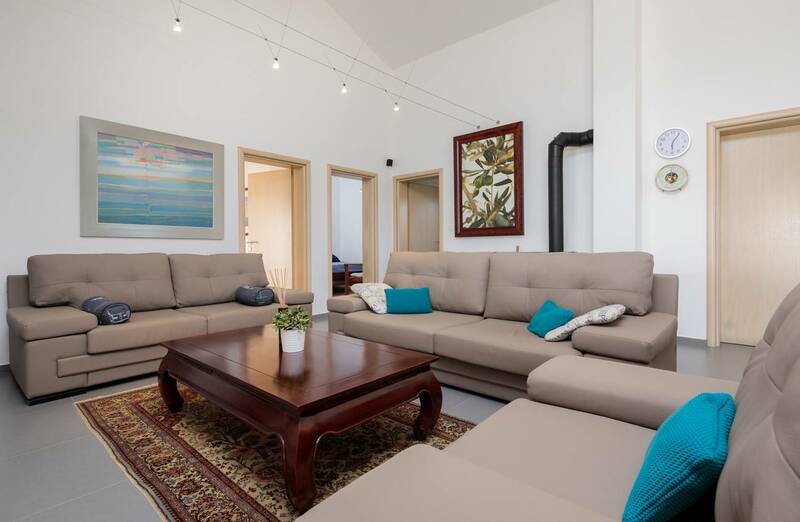 For additional sleeping space guests can use the two double sofa beds in the living rooms which take the house capacity up to 14 people.